I met Urve Tamberg at the StoryMaster's Workshop in Seattle. When she told me her novel took place in Estonia and was called "The Darkest Corner of the World", I think I said something brilliant like, oh, I know Estonia. In "Encino Man" that's where the unearthed caveman got his nickname "Stony." Luckily, Urve, continued to talk with me. And on the flight home from Seattle I opened her book. Turns out I knew nothing about Estonia. Ma ei teadnud midagi - I knew nothing. But as I spent time with the young Madli, and the risks she took to save her family (which would have been tough for someone twice her age) I couldn't put the book down. 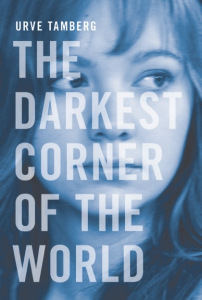 "The Darkest Corner of The World" became an evocative, powerful and - not an easy task - wonderful journey into a young girl's life. 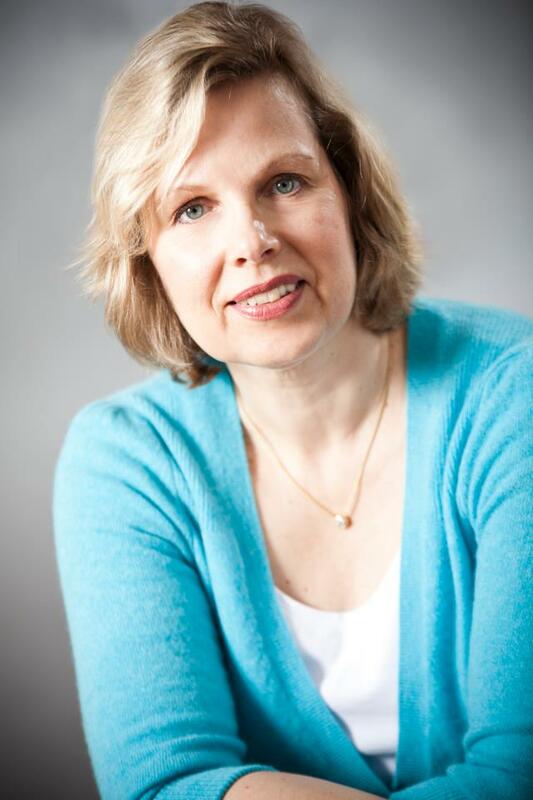 Merci, Urve, for sharing YOUR journey with us. The Darkest Corner of the World. Welcome to The Planting Cabbages Novelist Interview. Urve, I am so glad you are here! Planting Cabbages: When did you start writing and what motivated you? I didn't realize I wanted to be a writer until a few years ago. I've always been an avid reader, and somewhere in the back of my mind, had the desire to write a novel. Like many people, I didn't think writing would be as difficult as it was. As the daughter of immigrant parents, I grew up in Toronto hearing stories about the history and culture of Estonia. I led a double life for most of my childhood. I was a normal Canadian student during the day, and an Estonian at night and on weekends. My “Canadian” friends didn’t understand why I had to go to Estonian school on Friday nights, or rhythmic gymnastics on the weekends. And where exactly was this tiny country that had been forgotten by the world for decades after the Soviets occupied it? I was inspired by the little-known true stories of stubbornness, ingenuity, and bravery. Because Estonia was a tiny country locked behind the Iron Curtain for almost fifty years, many of its stories have never been told. In the last twenty years, since the collapse of the Soviet Union, people have finally dared talk about their experiences. When I was growing up, my parents didn`t speak much about the war but once in a while, something big would slip out. For example, I was an adult when my father told me about two brothers I never knew he had. Both were in their twenties when they were deported to Siberia. I still don`t know the reason. There are so many stories still buried in memories because people don`t think that their personal tales are important. But they are. My first book, The Darkest Corner of the World, is inspired by the true stories of the Estonian people and their struggle to survive during the Soviet and Nazi occupations during World War II. PC: Often the journey from being a writer to being a published novelist is a story in and of itself. Tell us about yours. It took me four intense years of historical research, and learning writing craft before I submitted the manuscript for publication. I think the hours that I put in were probably the equivalent of another university degree, though the end result is a published novel, not a degree. I could never have done this on my own. Like any profession, it's important to connect with your peers. From the start, I have been part of amazingly supportive and perceptive critique groups. Organizations such as CANSCAIP and SCBWI provided important resources, and still do. I met my editor, Barry Jowett from Dancing Cat Books, at a course run in Brantford. At a one-on-one meeting, he liked my first page, and wanted to see more. And based on some good advice, I didn't rush to send him the manuscript. In fact, after much consideration, I ended up rewriting the whole novel from first person to third person before I sent it to him. That took a year. Fortunately, when I contacted him, he did remember the novel, asked to see the entire manuscript, and the rest is history. writers you read now? What's changed? I have always loved books and stories. I mostly read literary fiction, and enjoy reading about a complicated protagonist in an interesting setting. Some of the books I've enjoyed recently are Room by Emma Donaghue, Purge by Sofi Oksanen, Property by Valerie Martin, The Book of Negoes by Lawrence Hill, and The Kite Runner by Khaleid Hosseini. I'm re-reading Graves without Crosses by Arved Viirlaid (one of the handful of Estonian authors translated into English) as research for my next book. As a child, I loved Nancy Drew, Enid Blyton, and Noel Streatfeild. So what is the relationship between Nancy Drew and World War II in Eastern Europe, you ask? For me, it's the strong independent female protagonist who thinks on her feet, and is able to outsmart the antagonist(s). She is empathetic, articulate, and able to trust her instincts. PC: How important is 'everyday life' to your work? When I went to school, history was taught as a series of dates and treaties and wars and battles, none of which interested me in the least. Now I realize I'm interested in how ordinary people felt, and the every-day dilemmas they faced. When I was researching, I was struck by how some people could manage to show compassion even at the darkest of moments. For example, on June 14th, 1941, thousands of people were woken up in the middle of the night by Red Army soldiers, and told they were being deported to Siberia. Some of the soldiers told their prisoners where they were being taken, and to pack warm clothing, and sewing machines, and food. Other soldiers forced their prisoners into the back of a truck wearing little more their night clothes. Overall, I don't see my work as political, but I will make a couple of observations. Winston Churchill said that "history is written by the victors." For most of the twentieth century, the Soviet Union was the "winner." They illegally annexed the Baltic countries of Estonia, Latvia, and Lithuania during the second World War, and for five decades the Iron Curtain limited communication between the West and the Eastern Bloc countries. Letters were censored, and people on both sides of the ocean were afraid to tell their stories. After Estonia regained independence in 1991, stories slowly started to filter out, but even now there is very little written in English, much less written for a younger audience. Another reason that Estonia's stories have not been told is because of its tiny population. There are about 1.5 million Estonians in the world. Much of the literature to date has been written in Estonian, so fluency in the language has been a necessity to do research . Having said all that, I really just want to write compelling stories with intriguing characters, and page-turning action, all with the backdrop of World War II in Estonia. PC: What aspect of writing and working as a writer is the most challenging? Since this is my first novel, there are three things that were challenging for me. I call them the three Rs - researching, rewriting, and relevancy. As someone with no background in history, I had to research everything from the dates of major events to bathrooms, shoes, and bathing suit styles. Accuracy was very important because I felt that I had to honor the people of Estonia who lived during that time period. E.B. White said, "The best writing is rewriting." I gave myself permission to use my first novel as a learning experience and spent years learning about the craft of writing. It was very tempting to rush the process, but it took about four or five years from conception to publication, and countless rewrites. I joined critique groups, SCBWI, CANSCAIP, and started going to courses and conferences. I love that I'm always learning something new, and that writers are so generous about sharing their experiences. And finally, relevancy. How could I make this story appeal to teens? I knew the story had to draw them in on an emotional level and decided to included romance and betrayal. Also, Madli likes all the same things today's teens do. Boys, summer vacation, parties, movies from America, and travelling. PC: What reading, other than fiction, is important to your work and why? I spent months reading life histories, and textbooks in both Estonian and English. My ability to read Estonian gave me access to a richness of work that wouldn't be available to anyone who didn't speak the language (needless to say, there aren't many of us). PC: What genre is your fiction? Do you see yourself as changing genre or "branding" your work? I write historical fiction for young adults, though a number of adult book clubs have read The Darkest Corner of the World. I think teens like good historical fiction that makes them wonder "What would I have done?" I like to challenge my characters with morally complex decisions at a vulnerable time in their lives to see which path they choose. PC: What is the current state of fiction, as you see it? I'd like to address Canadian fiction, since that is more familiar territory. I think that Canadian literary fiction is on very solid ground, and while writers do not necessarily write about the Canadian experience, they embrace themes of immigration, travel, and multiculturalism. Award-winning Canadian authors with international recognition include Michael Ondaatje, Margaret Atwood, Alice Munro, and Yann Martel (Life of Pi is nominated for an Oscar this year). PC: How do you think American fiction might best develop in the next ten years? That is an interesting question. On the simplest level, people will always want to read great stories. I think the question then becomes "How will they discover a great story?" Typically, I read a book because a friend recommended it, or I "heard" about it, either because it won an award, or it was on a best-seller list. I think the biggest challenge in the future will be marketing a good book. Since I write historical fiction for teens, I need to reach a diverse audience. This would include both the readers and gatekeepers. The gatekeepers are teachers, librarians, as well as parents. PC: How is Fiction relevant or valuable to contemporary society and culture in the U.S. and/or at an international level? Everyone loves a good story. It is through stories that we learn about the world around us and we learn about ourselves. I'm intrigued by the similarities between some of concepts in dystopian literature, and the reality of living under communism in the twentieth century. Teens may not realize that events they perceive as dystopian actually happened in the twentieth century. It might be a great way to start a discussion. In The Hunger Games, Panem is a post-apocalyptic nation where the countries of North America once existed. The Capitol exercises political control over the rest of the nation. For most of the twentieth century, the Soviet Union was controlled by a centralized bureaucracy based in Moscow. The USSR was comprised of fifteen nations including the former republics of Estonia, Latvia, and Lithuania which had been forcibly occupied by the Soviets. The people of the USSR were rarely allowed to travel to the West, and if they did, members of their family were held back as insurance so that the person would return. If they didn't return, their family faced arrest, torture, and deportation. There are many more examples and I hope talking about these real-life scenarios might pique their interest in history. Urve shares the delicious recipe for the milk and onion soup "cure" in her novel. Slice 1/4 cup of onion, and slowly sauté in butter until onion is soft and translucent. About 15 minutes. In the meantime, pour 1 to 1.5 cups of milk in saucepan and slowly bring to simmer just until warm. Reduce heat for onions, and pour milk onto onions. Add salt and pepper to taste. Simmer for 15 minutes. Enjoy! Feel better! Get well! Hi Liz, thank you for stopping by! What was your favorite part of The Darkest Corner?